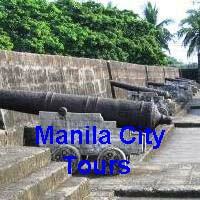 Hotels in Manila you pick the dates we will find the price! Staying at the wrong type of accommodation can contribute to a disastrous trip if you are caught totally unprepared. 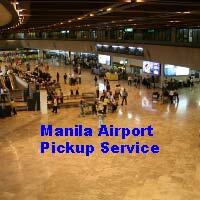 You can almost guarantee any trip to the Philippines, you will need to stay a period of time in hotels in Manila. Manila City is the perfect focal point for your travels to the rest of the country. Not all travellers will have the same requirements with respect to their hotel accommodation. Some travellers might be more discerning with regards to their accommodation and may be looking for gracious hospitality and elegance, you know the 5 star facilities. Of course this applies to you travellers where price is not a concern. All you need to do is put the dates your staying in Manila into the search box below and it will search for the best prices of hotels in Manila. In Manila, being the capital of the Philippines, there are plenty of 5 star international luxury hotels to select from. Prices per night at these 5 star hotels can range from 3000php per night to 5600php. It is worth mentioning that these prices can change if they have promotions on and don’t forget to ask for a discount! Being pampered and being surrounded by luxury is great if you have the budget, but not all of us are born with a silver spoon in our mouth and hence we normally tend to go for the middle of the range accommodation. These types of hotels are normally 4 star or three and half star in rating. Of course, at the other end of the spectrum, we have some travellers who are on a strict budget and require only a clean and comfortable bed to rest for the night without all the perks and pampering like those of the more expensive hotels. We have also completed some personal reviews of 3 stars or lower budget value hotels of hotels in Manila, that are worth their price. Cherry Blossoms Manila (the new section). Other budget hotels that can considered are the Fersal Hotel Manila, the Casa Bocobol Hotel Manila, or the New Solanie Hotel. Prices for stays at these budget hotels normally range from slightly below 1000php per night to less than 2000php per night. Hotels in Manila are varied and will suit any budget, obviously the amount of money you spend will determine the quality of the hotel, but don’t forget there is not a huge amount of difference between the 4 star and 5 star hotels, prices are coming down and they all want you to stay with them and spend money, your in the box seat, ask for a discount, you maybe surprised what they will offer you.